Lake|Flato’s work reflects the belief that sustainability and design are two sides of the same coin — balanced, integrated, and inseparable. We strive for a healthy, coherent, place-based approach to building. Simply defined, sustainable design is carefully considered design that allows architecture to respond to its particular place, is respectful in the use of natural resources, and promotes healthy living. Their work demonstrates that beauty and sustainability are not mutually exclusive and that our future depends upon our rediscovering how we once built and what we once valued: humility and honesty, respect and restraint. During Pre-design, we carefully study the unique context of each project to determine which energy strategies are attainable, taking into account the climate and micro-climate, site orientation, natural resources and materials, and cost considerations and payback scenarios. Energy modeling software simulates and tests the variables, leading to design solutions and system strategies that are tailored to the project. We use computer simulations to perform building analysis for our projects. From preliminary climate analysis to daylight, solar radiation and exterior views analysis, this process informs early design and building systems to create comfortable and high performing environments. The study of vernacular architecture, designed well before the advent of modern mechanical systems, provides enduring lessons of building orientation, shading, natural ventilation and rain water collection. These basic principles often provide a starting point for passive design, which is then refined with the latest scientific approaches to the thermal envelope, passive ventilation, daylight harvesting and water collection. After employing appropriate passive strategies, we consider how advanced technologies can be applied in innovative and practical ways, identifying the active systems that meet the project’s requirements for low energy and water consumption, as well as energy generation. In alignment with the AIA 2030 Commitment, we are currently striving for a 70% energy reduction over the national average for each building type. We have found that we can achieve this target without renewable energy systems, but we can employ renewable energy when clients have more rigorous sustainability goals, such as net-zero energy consumption. Post-occupancy evaluation is an important tool to ensure our buildings are performing as intended, with feedback that improves our design process and our clients’ operations. Evaluation helps occupants understand the impact of their behavior on the building’s resource consumption, thus often reducing consumption even further. For over 30 years, Lake|Flato has passionately advocated for environmental stewardship through sustainable design. We have adopted Architecture 2030’s 2030 Challenge, and joined the AIA 2030 Commitment to measure our projects’ progress towards carbon neutrality. Each year, we measure predicted energy use intensity (pEUI) and actual energy use intensity (EUI) for all of our projects. Making the connection between design intent and actual building performance is critical to our progress towards carbon neutrality by 2030. Ongoing monitoring and reporting of data is the single best way to drive higher building performance, informing how issues such as occupant behavior or unanticipated building usage impact building performance in the real world. Each year, the nationwide firms participating in the AIA 2030 Commitment report their average pEUI reduction, weighted by gross square footage (GSF). Combined, the firms’ reporting saw an average of 43% pEUI reduction from the national average EUI in 2016. The Committee on the Environment (COTE) works to advance, disseminate, and advocate — to the profession, the building industry, the academy, and the public — design practices that integrate built and natural systems, and enhance both the design quality and environmental performance of the built environment. Lake|Flato is active in national, regional and local AIA COTE organizations, helping to further advance the COTE’s mission. Ten Lake|Flato projects have received national AIA COTE Top Ten Project Awards, — the American Institute of Architects' highest honor for excellence in sustainable design. 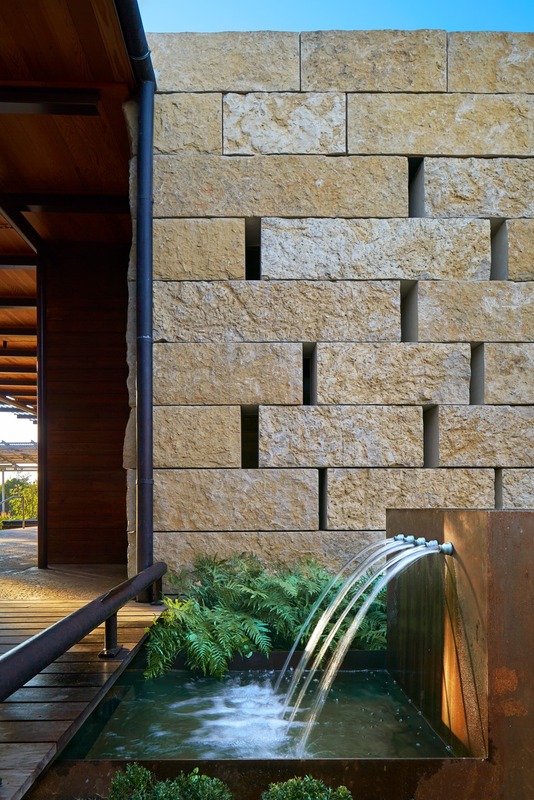 Lake|Flato employs practical and thoughtful sustainable strategies that conserve resources, engage nature, and promote healthy living through buildings that are rooted to their place. We strive to create restorative environments that enhance our understanding and relationship to the natural world. Lake|Flato is committed to making informed decisions regarding the architectural building products we specify, and has endorsed the use of the Health Product Declaration (HPD), an open standard for manufacturers to accurately disclose product contents using a standard, consistent, and transparent format. We champion the standard’s ability to increase the availability, accuracy, and transparency of reported product content and associated health information by providing a common language. As an endorser, Lake|Flato has been asking manufacturers to adhere to the guidelines of the HPD and provide the required documentation to our firm. The standard supports our efforts to make informed decisions about material selection and their impacts on human and environmental health.